Despite low numbers and some inexperience at a number of positions in the field, the Brookwood baseball team continues to stay tied with Hillsboro atop conference standings after fending off Cashton on Monday night for a 5–2 win. The Panthers’ offense took off in the second half of Monday’s game with Necedah, spawning a 5-run fourth inning and leading to an 11–5 victory over last year’s conference champions. Cashton collected 21 hits in a win over the Falcons’ softball team Monday afternoon, leading to a 16–3 win in five innings for the visiting Eagles. Brookwood’s James Gjefle ended his high school wrestling career at the WIAA state tournament last weekend. 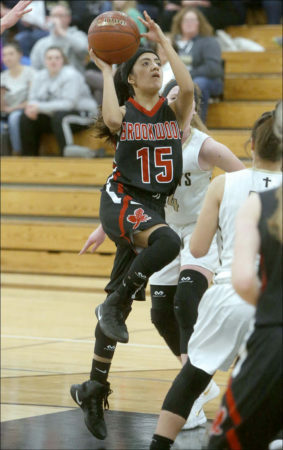 The curtain fell early for the Brookwood girls basketball team, as it fell to Luther 52–41 in a Division 4 regional quarterfinal Feb. 19 and ended its season. 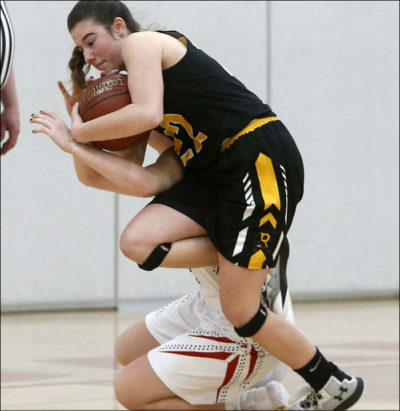 Royall’s hopes of advancing to the sectional round of the WIAA tournament were dashed Monday night as second-seeded Independence upended the third-seeded Panthers 42–24. Fresh off an important win against Hillsboro just three days prior, the Brookwood boys basketball team was eager to take on the conference-leading Bangor Cardinals in the regular-season finale on Feb. 21. The Royall boys basketball team managed to end the regular season at .500 and forced a three-way tie for second place in the Scenic Bluffs with a 10-point win over New Lisbon on Feb. 21. There was plenty at stake in the final week of the girls basketball regular season — namely, a conference title. 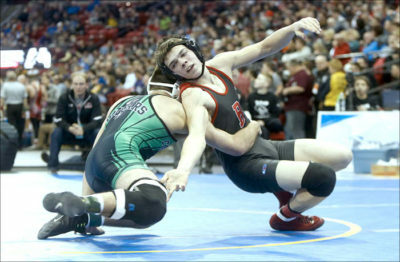 A trio of Scenic Bluffs wrestlers qualified for the WIAA State Wrestling Tournament, and two of those are from local programs.